The 2019 Europe Regional Institute is fast approaching. 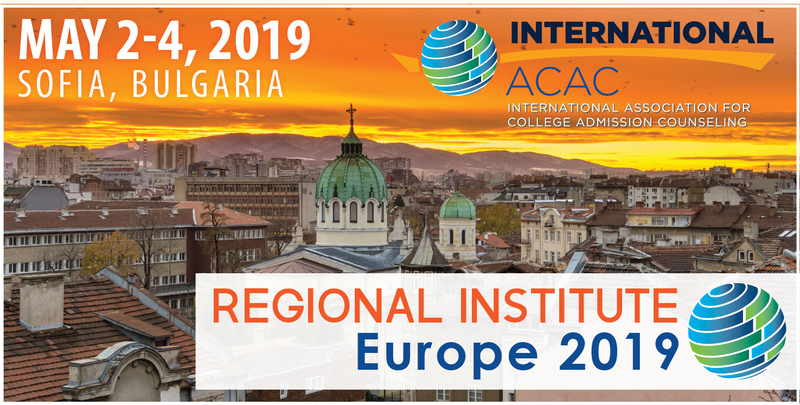 Just over a month from now, colleagues from around the world will meet at the historic American College of Sofia in Bulgaria for International ACAC’s first-ever dedicated professional development conference focused on international university admissions in this region of the continent. We’re honored by the positive response we’ve received from you as registrations continue to grow. The Faculty Co-Chairs have put together a stellar faculty to address compelling topics that are key to understanding the region’s students and university systems. We’re keen to share this learning, networking and recruiting opportunity with as many colleagues as possible. To that end, we hope you’ll take us up on our request that you share the attached invitation to attend the Europe Regional Institute with those contacts you know would benefit from the International ACAC brand of professional development. Some of them might not even be members (yet! ), but we bet that, if they got to know us at our best- when we’re generously sharing our knowledge with others or engaging in effective and enjoyable networking with colleagues- they’d be just as hooked as those of us who are already members. As you reach out, know that we want university representatives and counselors from around the world to bring their perspective to the conversation in Europe, so feel free to cast the net wide. But we also are particularly interested in featuring as many colleagues from Central, Eastern and Southern Europe, as well as Eurasia, as possible. Our host is graciously welcoming us to Eastern Europe’s own backyard. Let’s invite the neighbors! Grants are available for members and non-members alike. They can cover membership dues, travel, lodging, registration- whatever is needed to help counselors from the region attend. Applications will be considered until April 15th. Apply HERE for a Regional Institute Grant. Comments on "Grant Application Period for Europe Regional Institute Extended until April 15th"